Failure is not an option; Meier understands your priority to manage risk, costs, and speed to market. For more than thirty years Meier has been transforming critical, close-tolerance metal components for the medical device, aerospace, and defense industry. Failure is not an option; Meier understands your priority to manage risk, costs, and speed to market. 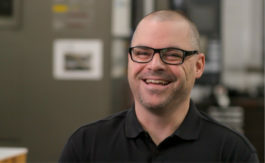 When component quality can impact lives, Meier understands. 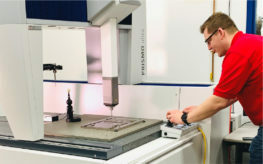 Over time, Meier has gained a wealth of experience servicing the medical device, aerospace and defense industry. Meier’s strengths in implantable devices, disposable instruments, biopsy forceps, drug delivery, electrosurgery, and hearing devices, offers an unprecedented network of knowledge and skills needed to meet the stringent demands in the medical industry. Meier serves many health care market segments including neurostimulation, cardiovascular, pacing, endoscopy, laparoscopy, electrosurgery, diabetes, hearing health, and orthopaedics, to name a few. Whether you need a new small part or to convert a machine component or metal injection molding to stamping, request a quote today and see how we get the small things right every time. Advanced quality systems are just part of the plan. 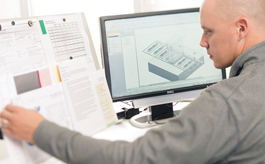 Every step of the process from tooling design and validation through production release is clearly and consistently monitored and controlled by our dedicated and highly skilled team of engineers and toolmakers. Our outstanding support continues throughout the entire product life cycle, where we help you cut costs and shorten production timelines. For more than 30 years we have manufactured parts that are critical to the functionality of major devices. Over that time we have developed industry-leading quality processes to ensure that we consistently meet the highest demands imaginable. Our track record for success is impeccable and one of the many reasons we have become a manufacturer of choice and one of the most successful companies in the industries we serve. Our customers require the innovative solutions and latest technology we provide, which is why our engineers are among the most respected in precision manufacturing. Thanks to their creative thinking and ability to convert even the most intricate parts to metal stamping, we have saved our customers millions of dollars in the long run. It’s the kind of engineering knowledge you can rely on to cut costs without ever compromising quality.